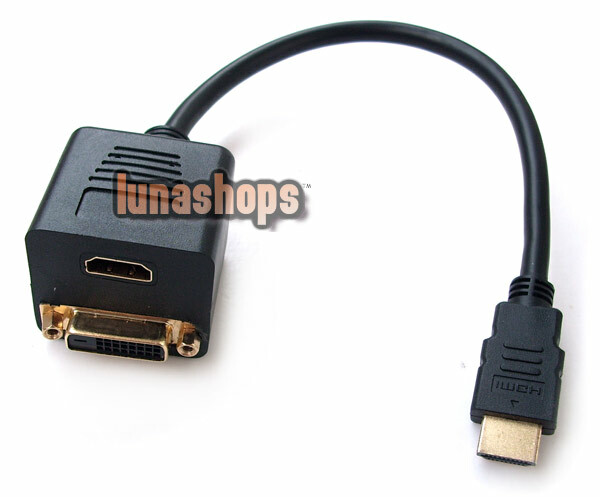 HDMI Male to HDMI DVI Female Cable replicates a single HDMI output into HDMI and DVI-D outputs. Increase your high-definition capability with a HDMI to HDMI Splitter Cable. Splitter cable is made for splitting one HDMI signal to two HDMI signals. The HDMI to HDMI DVI Splitter is designed with gold-plated and corrosion resistant connectors. A / V cable can connect one input device to two output devices. Works with DVD players, cable boxes, satellite receivers, televisions and projectors. 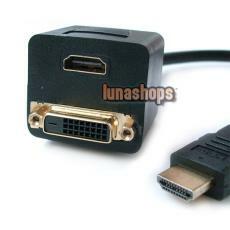 Output: DVI-D ( 24+1 pin ) ( Female x 1).